“I think Ash (R Ashwin) and Basu Sir (Shankar Basu) came up with that. Some guys also came up with ‘winter in coming’ where instead of ‘winter is coming’, they have started with ‘Pujara is coming’ which is a bit funny. India vs Australia 4th Test Sydney: A player like Cheteshwar Pujara helps the Test cricket to hold the significance in the hearts of every cricket purist and fans, despite the advent of shorters versions of the game. It seems Pujara is having a fairy-tale tour to the country like Australia, where every batsman’s real skills, ability, and character is being tested. Pujara’s rock-solid performances in the ongoing Border-Gavaskar series has proved that he’s ‘The Wall-2.0’, which makes the difference between two sides. He has faced 1258 balls and has smashed 521 runs at an impressive average of 74.42 so far. 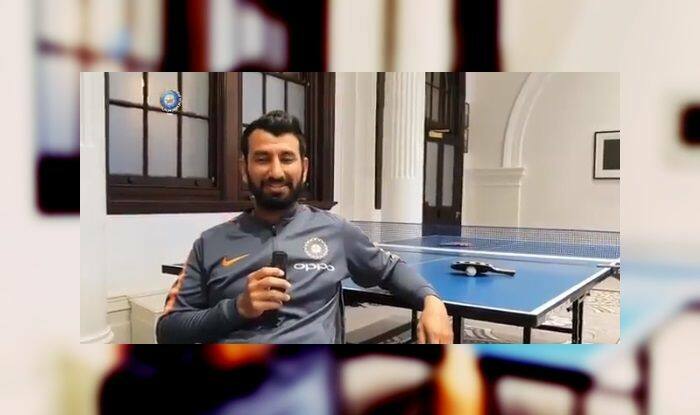 Speaking exclusively to BCCI.tv, Pujara said that Ravichandran Ashwin and Shankar Basu, calls him a ‘White Walker’, which features in one of the highly rated TV series- Game Of Thrones. “I think Ash (R Ashwin) and Basu Sir (Shankar Basu) came up with that. Some guys also came up with ‘winter in coming’ where instead of ‘winter is coming’, they have started with ‘Pujara is coming’ which is a bit funny. But it is a good way to acknowledge what I have done (for the team),” Pujara said. He also said, if he gets an opportunity, he would still like to play the longest format. “If test cricket still goes on and if I had to get an opportunity, I would still like to play Test cricket… because that is the ultimate challenge I would say. In T20 format you can get away with so many things. But when it comes to your character, temperament or other things as a cricketer you can describe, it can be challenged only in Test cricket, he added. Pujara, who blazed 123 off 246 balls, helped his side to a 31-run victory over Australia in the first Test at the Adelaide Oval. Talking about his special Test century, the 30-year-old feels that the ton he smashed at Adelaide is the most important one for him. “Adelaide I would say… because the first match of the series was the most important. When you start off on a winning note, when you are 1-0 up and when you move into the four-Test series you are always on top and you make sure that you remain on top. So, I think the innings at Adelaide will still be very special for me and yeah Test century is always special. So Melbourne Cricket Ground and Sydney Cricket Ground both are special but I would say Adelaide is the most important for me,” he added. In spite of going down in the second Test at Perth, Pujara made a solid comeback in the third Test at Melbourne. Another centurion knock (106 off 319 balls) from him in the first innings, assisted India to outplay Australia by 137 and retain the Border-Gavaskar Trophy. An unstoppable Pujara in his first innings strengthened his side with his 193 off 373 balls in the fourth Test at Sydney. “My strength is my defense. It has to be discouraging for a bowler if I am defending well. If he is trying to bowl at 150 km/h, if I can play that bowl well then it is his best bowl. If I can defend that then he has to find another option. I think I am winning that battle. As a batsman, I can’t feel bad but when I am fielding I do feel for our bowlers,” he added. India declared their first innings on 622 for the loss of seven wickets at the Sydney Cricket Ground. In reply, Australia made 24 for no loss at stumps. Marcus Harris and Usman Khawaja are holding the crease for Australia on respective scores of 19 and 5. A 2-1 up India are eyeing to win and register a historic win on Australian soil.